Williamson & Wilmer provides a range of high quality, professional crane systems to handle any task your project requires. Our specialists can speak with you regarding more specifics around our crane systems and material-handling systems. Overhead traveling bridge crane systems generally fall into two categories: Structural Cranes made from structural shapes or plate box girders and Patented Track Cranes. Both of these types of cranes are available in a variety of configurations based on your building design and our customer’s needs. These cranes are available from less than 1 ton in capacity to over 100 tons. Workstation cranes are available in two forms: Workstation bridge cranes and Workstation jib cranes. With capacities ranging from 150 lbs. 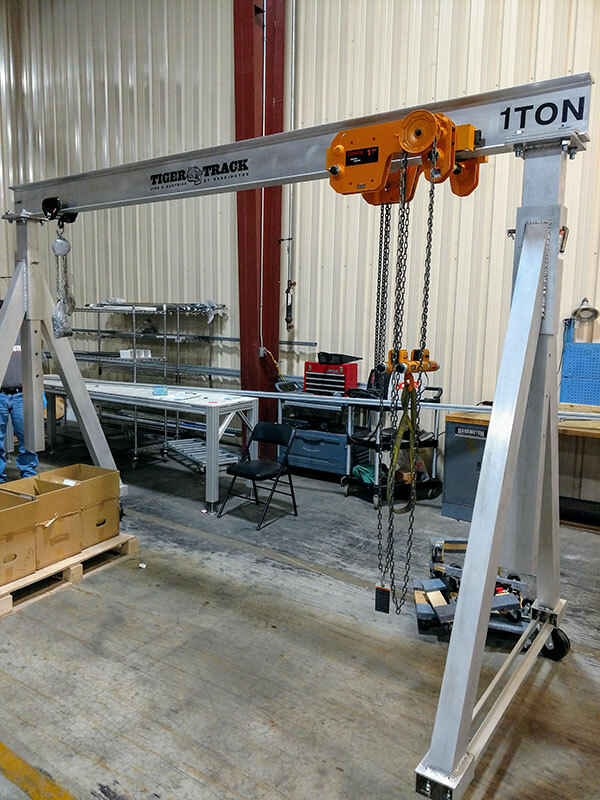 to 4,000 lbs., Workstation cranes are a great alternative to a traditional structural crane and are designed with ergonomics in mind. These cranes are very modular and are provided in ceiling mounted and freestanding configurations. This allows for ease of movement, extension and reconfiguring down the road. While the cranes are most commonly manually operated they can be powered. Like many of the other material handling products we offer, there are many types of jib cranes in the industry. The right type of crane comes down to our customer’s needs and the limitations of their current workspace. Our specialists at Williamson & Wilmer can help provide you guidance and advice and direct you to the best solution for your project. Davit cranes offer very similar functionality to our jib cranes, but are more compact in size, are often portable, and use a winch at a fixed point on the mast, rather than a traditional hoist and trolley system. 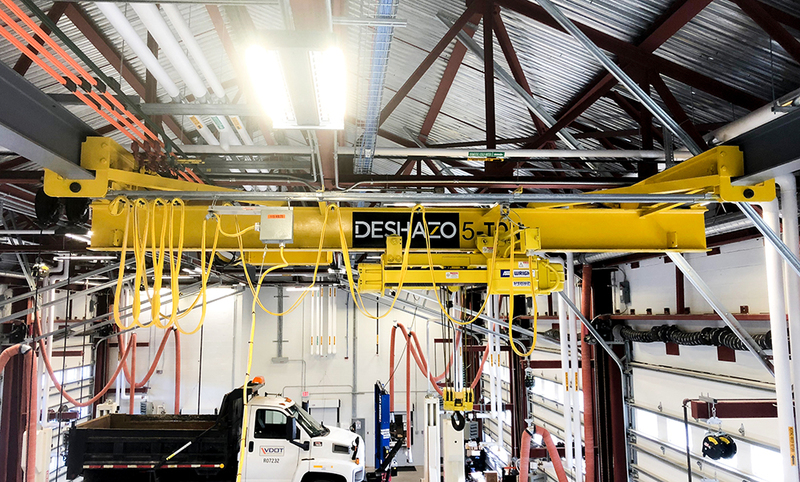 One huge advantage is the fact that most davit cranes do not require a concrete foundation for their use. Dependending on the needs at your facility, we can offer a portable or stationary davit crane to assist your workers. Williamson & Wilmer has Gantry cranes available in a variety of capacities, in both a fixed-height and an adjustable-height model. 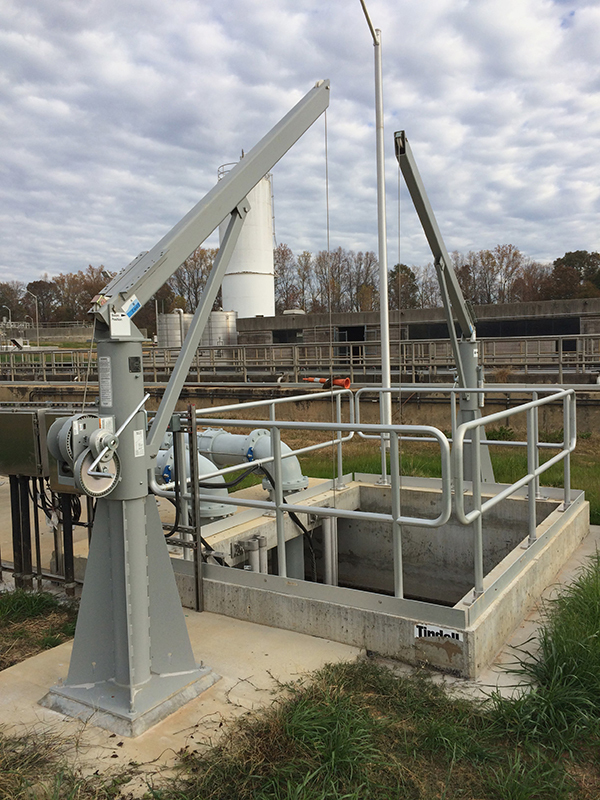 These different units offer an economical way to safely move material in your facility without having to rely on existing structures for support. The purchase of a gantry crane can also help increase the cost savings in comparison to purchasing an overhead traveling bridge crane.